2. Why was I shadowbanned? 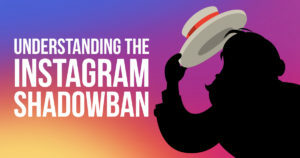 Shadow ban on Instagram means that the app bans you without letting you know you’ve been banned. Once you are shadowbanned, your posts that have hashtags in the caption will no longer appear in the results when people who don’t follow you search for that hashtag. As you know, hashtags are the primary way of expanding your reach to new audiences on Instagram, you getting shadowbanned means that you will get virtually no new followers unless you spend tons of money on advertisement or influencer posts. 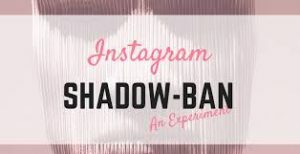 There are several ways to get yourself shadowbanned on Instagram. First of all, keep an eye on banned hashtags and never use them for your posts. These can include offensive hashtags or even those that have been overused and have become too spammy. Also, make sure that all of the hashtags you use are relevant to each post and that you vary the list of hashtags between the posts. Even using the same hashtag several times in a row can get you shadowbanned. Secondly, don’t use Instagram comment bots or bots for likes, followers, etc. This is a sure-fire way to get banned since it violates Instagram’s policies. Same goes for auto-posting software and other Instagram automation tools - Instagram can detect when you use them. 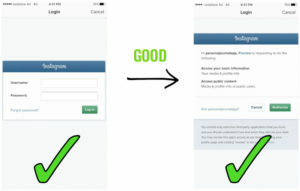 Try using Leogram instead - we use advanced algorithms for organic Instagram promotion without violating the rules. Don’t follow, like or comment too many times in a given time period, as Instagram can perceive it as bot activity. Try to act naturally: don’t like more than 200 posts in an hour, don’t post more than 60 commens and don’t follow more than 50 people every hour. If you’re wondering “Am I shadowbanned?”, an easy way to tell is to ask a friend to unfollow you and then search a hashtag you’ve used recently. If you can’t find your photo using the hashtag, you are probably shadowbanned. You can also use a shadowban analyzer online to double check. The shadowban won’t stay on your account forever, in most cases you photos will become visible to others again in 2 or 3 weeks. But if you want to get rid of the ban sooner, there are some things you can do. First of all, double check all the hashtags you use. They should be relevant to the post and not banned by IG. To check if the hashtag is banned, search the hashtag. If no posts appear except for the top posts section - it is banned. Remove bots or auto-posting software and start playing by the rules. Bots don’t help your account anyway, so don’t worry about giving them up. Try signing up for Leogram or hiring a social media assistant instead. Stop using Instagram for a new days. Many people have said that this automatically removes the shadowban, but you have to be strict with yourself - you can’t even log in with your shadowbanned account, let alone post or comment.